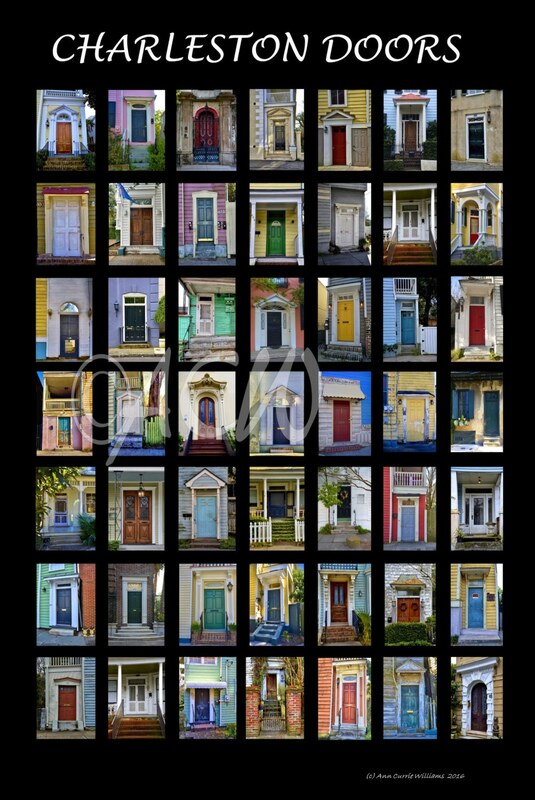 A full color 18x 24 gallery wrapped canvas of a variety of the front doors in downtown historic Charleston, SC. It is a collection of images of different doors, from stately front doors that can be seen in the well known South of Broad area to others from different parts of the old city. From the elegant to a few that have seen their better days, it makes for an interesting statement on the Holy City. This is the same image that can be found on my poster of "Charleston Doors".